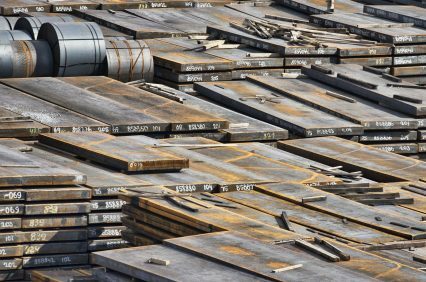 Evraz has signed a US$425mn syndicated pre-export credit facility with a syndicate of banks to refinance its existing debt pile. Deutsche Bank and ING Bank worked as the co-ordinating mandated lead arrangers and bookrunners on the deal. Nordea Bank, Société Générale and Rosbank acted as senior mandated lead arrangers, with Nordea also taking on the role of bookrunner. Raiffeisen Bank International was also a mandated lead arranger. The Russian steel maker said the five-year deal has been secured for its consolidated West Siberian metallurgical plant and Nizhny Tagil metallurgical plant operations. It will pay interest of Libor plus a margin calculated to Evraz’s net leverage ratio, currently set at 3.5%. The facility is secured by the borrower’s export revenues and is guaranteed by parent company Evraz and its trading company Easy Metals. Repayments will amortise in equal quarterly payments following a 24-month grace period.